Most of our regular vehicles have power steering. It’s kinda old school not to have it. And we are so used to it, we don’t think twice as we turn our wheel easily. This reminded me of the Holy Spirit. He comes into your life when you accept Jesus as your Savior. The Holy Spirit is here to guide you, give you strength, teach you about the Bible, speak to you for God, speak to God for you, and many more things I’m sure my tiny human brain can’t figure out. People who don’t have the Holy Spirit in their life are running around like that truck with no power steering. Life is hard. We have many things thrown at us by our environment, the enemy of our soul, the world in general. Being a Christian doesn’t make life any easier. Christians still have trials and tribulations. Relationship issues, money issues, health issues… I could list things for hours. 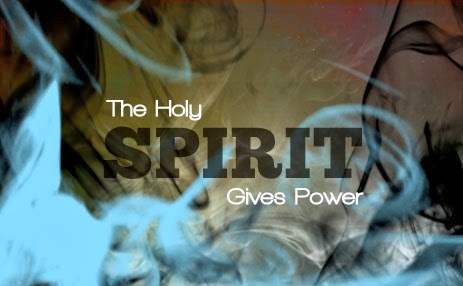 BUT, when you have the Holy Spirit you’ve got POWER to get through life. Living by the Spirit isn’t always easy, but thankfully we always have help. Galatians 5: 17-26 talks about letting the Spirit lead us instead of our flesh. Take a minute and look it up. So, where do your power come from? I’m letting the Spirit lead me.